Expired week flips up and drops into storage base. 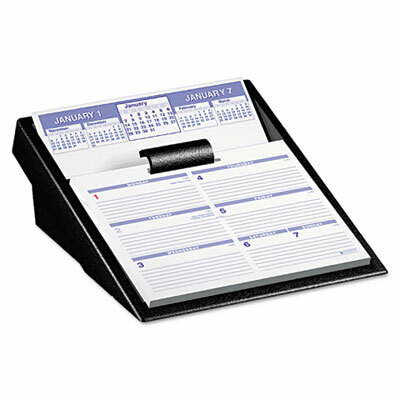 Top tier displays monthly reference calendars and bottom tier displays full week. Expired week flips up and drops into storage base. Federal holidays highlighted in red. Large numbers for easy reading.